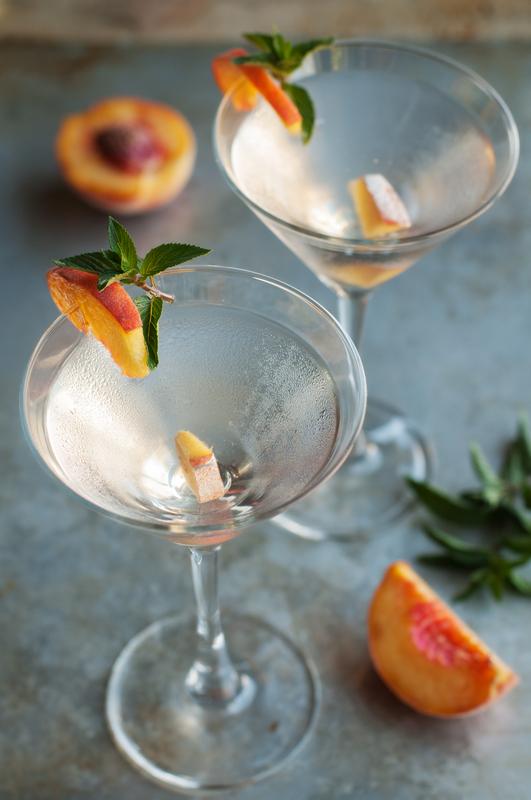 Add the gin, peach bitters, and two mint leaves to a mixing glass with ice. Stir. Strain into a cocktail glass. Garnish with the remaining mint leaf.